This comprehensive training programme covers the installation and troubleshooting aspects regarding Pastel Partner Version 11. 1. 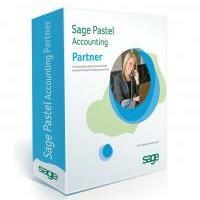 Bookkeeping NQF Level 3 qualification or Standard 8/Grade 10 Bookkeeping. 2. Computer Literacy at NQF Level 3 or Standard 8/Grade 10 Computer Literacy. 3. Mathematical Literacy or Standard 8/Grade 10 Mathematics. This course has been designed for learners who would like to develop or join a business providing support services to the many Pastel customers, both nationally and internationally. This is a two day (12 hour) course. The assessment forms part of the course and has to be written within 6 months from the commencement date of your classroom training or self study course. To make it easier for you, all the Pastel assessments are now ONLINE. This means that you can write the assessment in your own time and in the comfort of your own home (as long as you have a PC with internet access). · An overview of networks.